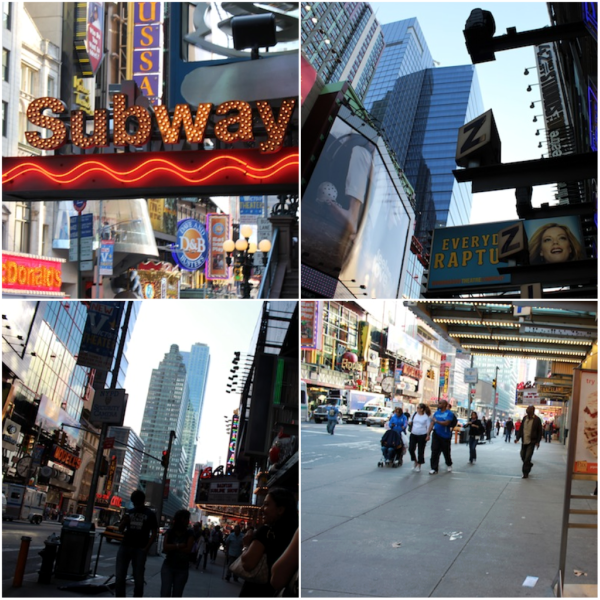 In typical fashion, I was unable to get through my time in the city of New York without getting sick. It seems that either one, or both, of us would get sick in every single location during our travels. From dirty water and food poisoning, to all the germs on metros/flights, and pollution, we're surprised we didn't die. OK, so I have a tendency to be a drama queen, but I'd love to know how you keep your immune systems up during long term travel. Sick days used to be an excuse not to do anything but lazy around in your housecoat. 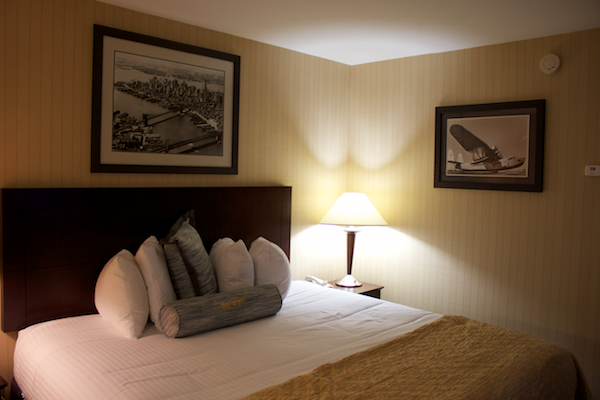 While you're traveling, you just feel guilty that you're paying for a hotel room and not out seeing the sights. The British TV shows that we discovered in Brussels almost made being bedridden worthwhile. Getting caught up on LOST was also a bonus. Anyway, we usually like to stay in together, catch up on things we can't do when we're out and about and nurse one another back to health. Chicken noodle soup, hot chocolate, and hugs are usually a good remedy. If for no other reason, we're fortunate to have one another for when we're ill.
You New Yorkers are so lucky to be able to catch a Broadway show whenever you'd like. The Lion King was my first, and hopefully not my last. It was most definitely one of my favorite experiences in NYC! that's too cute... but i'm kinda jealous. 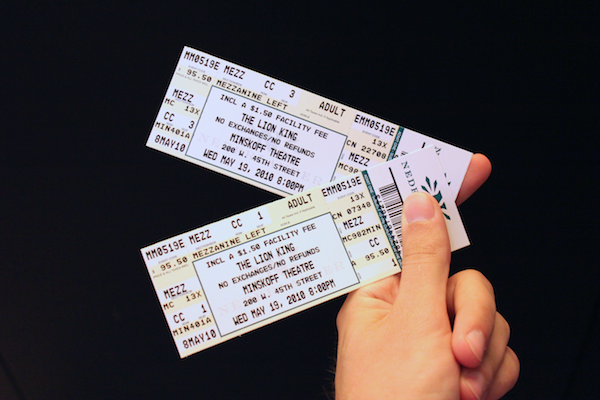 i'm dying to go to the lion king Broadway show :b. Get well soon darling! Aw, what a guy :-) I agree, there's nothing like a good Broadway show. But there's also nothing like the regret of having seen a bad one... CATS, anyone? Mariel Torres - Thanks Mariel. I'm better now, we're just desperately behind on the blog. Vanessa - Really? I thought that was one of the more popular shows. I haven't seen Cats... and I'm embarrassed to say that I don't know anything about it. This post makes me laugh! (in a good way) Boring photos but cute punchline at the end. aw hope you are feeling better, girl! but it still sounds like a lovely time - chilling in a sweet hotel, watching LOST AND seeing lion king in NYC still sounds amazing to me!! Lion King is amazing! See every show you can! Cabaret is one of my faves, along with Chicago! What an awesome "glad you're better" surprise! I'd love to see the Lion King! Ahh I adore the Lion King. It truly is an incredible show. I hope you get feeling better! Nothing good comes from being sick. I've been doing a lot of acupuncture to prepare for my traveling next semester...my sister did it before she left to live in the Philippines for a year and a half and she hasn't been sick once, so apparently it works! I'd highly recommend it. It's a good way to prepare your immune system without popping a whole bunch of pills. Being sick while traveling is the worst...unfortunately I don't have any remedies or ways to avoid it. I ALWAYS get sick when I travel. That's so sweet that Alex surprised you! The Lion King is one of my favourite Broadway shows by far! 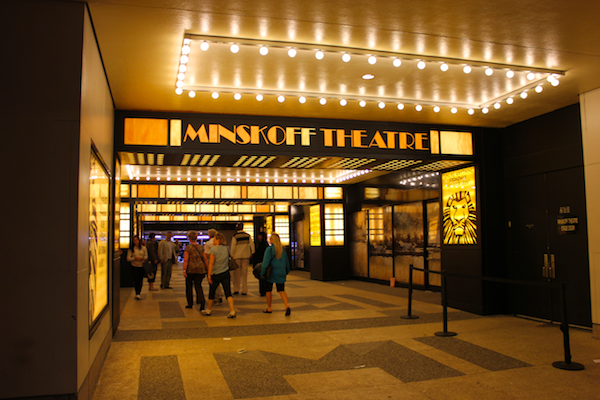 When (hopefully soon) I get to visit New York I will make sure I see a broadway show, how sweet of him! What an awesome suprise! 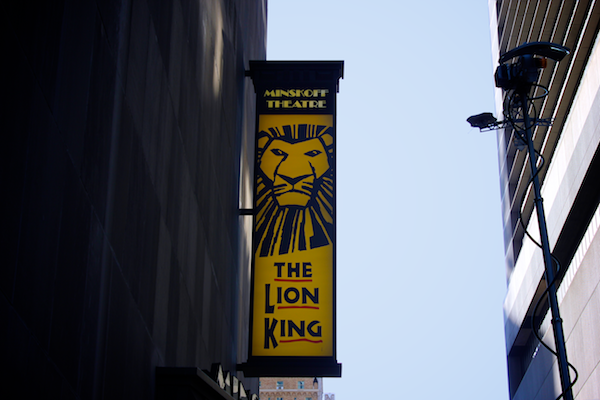 The Lion King on Broadway was the most unforgetable show I've ever seen, I hoped you loved as much as I did. And I hope you feel better. Traveling is hard on the immune system, this I know! awwww....surprises are even better when you're sick! Your first Broadway! That's a real special milestone. Or maybe I'm just a giant jazz-hands-queer.